The National Park System is one of our nation’s best ideas—a network of 417 parks and sites that protect spectacular historic, cultural, and natural resources and tell the stories of remarkable people and events in our country’s history. The National Park Service (NPS) is responsible for maintaining the system, which is composed of more than 84 million acres across all 50 states, the District of Columbia, and many U.S. territories. The size and complexity of the NPS infrastructure represent a significant challenge; unfortunately, after 100 years of operation and inconsistent public funding, the National Park System faces a deferred maintenance backlog estimated at $11.6 billion. According to FY16 NPS data, 47 percent of that backlog is attributed to historic assets. Deferred maintenance in our national parks puts historic and cultural sites at risk of permanent damage or loss, and in the absence of dedicated and robust funding, these assets will continue to deteriorate and become more expensive to repair and preserve in the future. Thankfully, Congress recognizes the need to tackle this issue, and we’ve seen a number of key developments over the last few weeks. 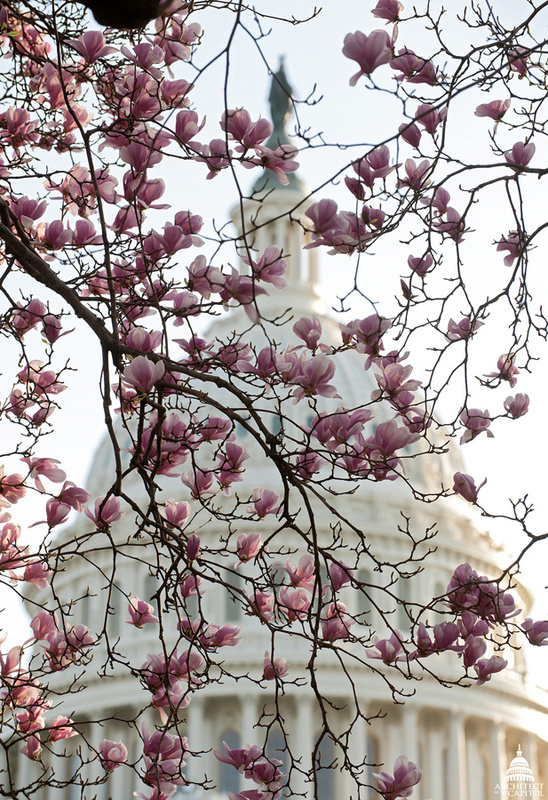 The House Natural Resources Committee held two hearings in March, during which witnesses and committee members shared data on the extent of the deferred maintenance backlog and perspectives on pending legislative proposals. At a hearing on March 6, testimony from deputy directors at the NPS and the Fish and Wildlife Service, as well as witnesses from the conservation community, highlighted the urgent need for action. The hearing included an exchange between P. Daniel Smith, the deputy director of the NPS, and Rep. Bruce Westerman, R-Ark., regarding the potential of historic leasing alleviating the maintenance backlog. This innovative tool was highlighted in the testimony that the National Trust for Historic Preservation submitted for this hearing. The March 20 hearing focused on legislative proposals that would provide dedicated funding to address the deferred maintenance backlog, including the National Park Service Legacy Act (H.R. 2584/S. 751) and the National Park Restoration Act (H.R. 5210/S. 2509). In our testimony to the committee, the National Trust outlined our endorsement for the Legacy Act and recommendations for provisions to be included in any policy proposal. For two years the National Trust has worked closely with our partners and key stakeholders on the Legacy Act, which was introduced by Reps. Will Hurd, R-Texas; Derek Kilmer, D-Wash.; Dave Reichert, R-Wash.; and Colleen Hanabusa, D-Hawaii as well as Sens. Mark Warner, D-Va., and Rob Portman, R-Ohio. This legislation is now cosponsored by more than 80 members of the House and Senate. We hope that this strong, bicameral support can serve as a starting point for immediate action and a bipartisan legislative compromise to tackle the maintenance backlog. We appreciate the many legislative and policy proposals that demonstrate a recognition that the maintenance backlog is a pressing issue that needs to be addressed, including the administration’s proposal to establish a Public Lands Infrastructure Fund that would direct funds toward the Department of the Interior’s maintenance backlog, which includes in it the NPS backlog. As Congress considers these proposals, the National Trust urges support for a solution that includes reliable, dedicated funding and real revenue—and provides park units with certainty about the availability of funds for high-priority projects. We are also pleased with the substantial increases in deferred maintenance funding that Congress included in the FY18 omnibus appropriations bill. The final agreement increased the Repair and Rehabilitation and Cyclic Maintenance accounts—two key accounts the National Trust has advocated for in recent years—by $10 million and $15 million, respectively. Taken together, these two accounts receive roughly $100 million more than they did just three years ago. These increases, combined with funding hikes for deferred maintenance in other accounts, are another welcome acknowledgement from Congress of the pressing need to address the repair backlog in our national parks. As Congress considers legislative proposals in the next few months to address the deferred maintenance backlog, the historic preservation community will have many opportunities to remain involved in the nationwide campaign. In the short term, you can check whether your representative or senators are cosponsors of the Legacy Act. If not, use our online tool (find the latest actions here) to send a quick letter asking for their support!